Surprisingly, I received another one from the same person, this time it is "Stylish Blogger Award". Hmmm, I am happy for receiving such recognition. 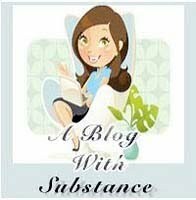 I just hope people really find my blog to be stylish and with substance. I would like to extend my gratitude to Ate Grace of Gracia Fashionista. This award was meant to be pass on to co-bloggers who deserves the same recognition. There are simple rules to follow. Just simply link back and thank the person who gave you this award. Then share 7 things about yourself. 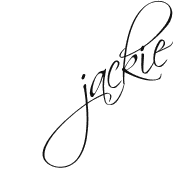 People used to call me Jackie though it was often misspelled as "Jacky". I am a teacher and an Executive Assistant at the same time to one of our VP in the school where I am teaching. I am inquisitive that people may find me annoying sometimes. I love mocha brown and pink. I love spaghetti, french fries, pizza, and tapioca! I am addicted to Cityville. And now, I am grateful to pass this award to Paula of Happy Thoughts, Ate Rhea of Life's Pen @ Work, and to Kayce of My Life and My Journey Online. Well, those are just a few of the bloggers I've known whose blogs are really stylish and very informative! congratulations, jackie! you sure are stylish! just ask me if naa pa ka uban questions,k? huhuhu..im now crying deep inside, i thought i have been forgotten.hehehe.btaw jack, thank u for passing this on to me. pero to be honest, imo man blog ang stylish gyud. U deserve this award and hope there will be more awards for u gurl.unsaon nalang nga dli man kau ko mahilig magpost ug mga in-ani sa ako blog oi.enwe..thank u thank u again for passing it on.haskang taas na sa comment sa? alangan, wala naman tay chat chat.